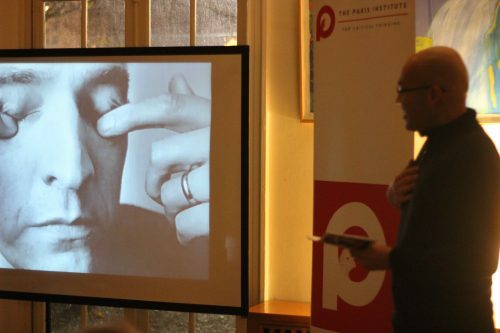 “Ingmar Bergman Across the Disciplines,” the second installment of the PICT Faculty Lectures series, took place on Wednesday, November 28, 2018. 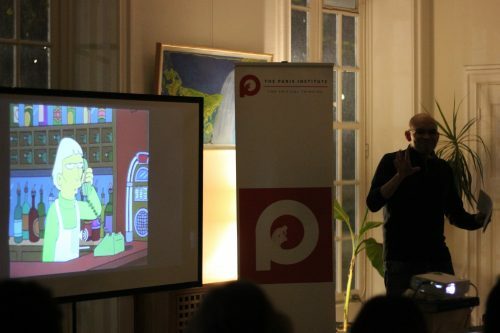 The event was co-sponsored by the Paris Institute for Critical Thinking (PICT) and the Maison des Étudiants Suédois. 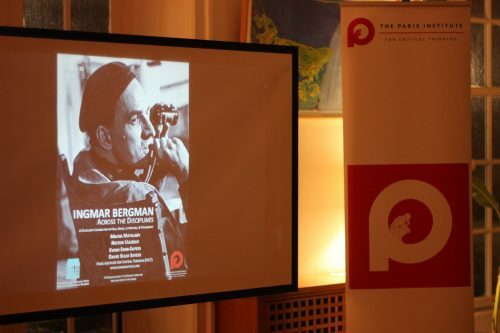 The event, celebrating the centenary year of the iconic Swedish director’s birth, united PICT core faculty members Evrim Emir-Sayers, Macha Matalaev, David Selim Sayers, and Hector Ulloque, who each drew attention to a different aspect of Bergman’s work. 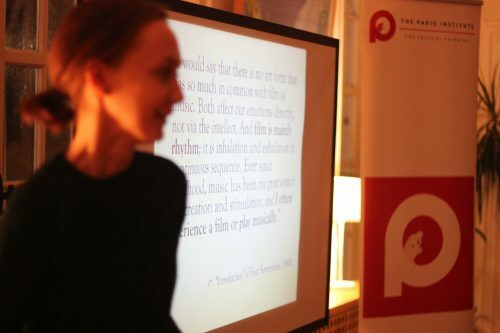 The evening began with a talk by Evrim Emir-Sayers on the concept of death as elaborated in the works of philosopher Martin Heidegger, and how Bergman’s films, especially The Seventh Seal (1957) and Cries and Whispers (1972), can help us approach Heidegger’s complex ideas on the topic. 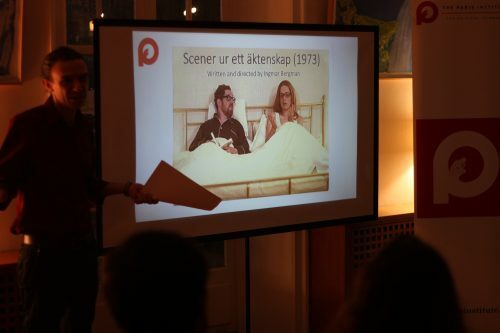 The second talk was held by David Selim Sayers, who focused on Bergman’s TV series Scenes from a Marriage (1973), mining the series’ extensive dialogue to create a catalog of verbal strategies aimed at impeding rather than enabling interpersonal communication. 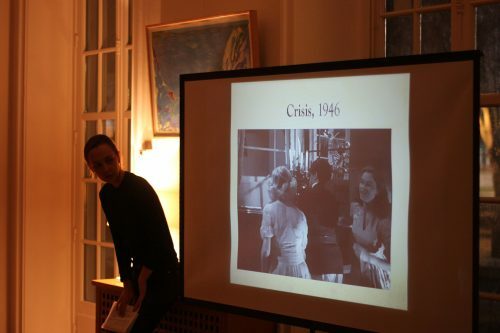 In the third part of the evening, Macha Matalaev analyzed Bergman’s usage of music. 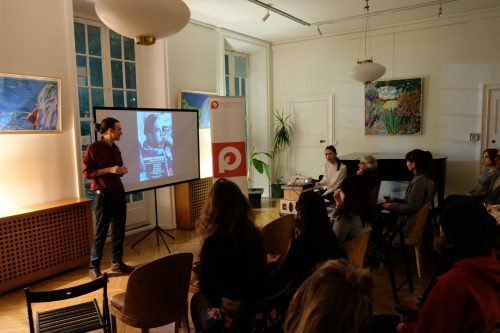 On hand of various examples, Matalaev illustrated the director’s thoughts on music in film, such as his desire to create film scripts fashioned after musical compositions or his conviction that music could unlock aspects of character inaccessible to dialogue. 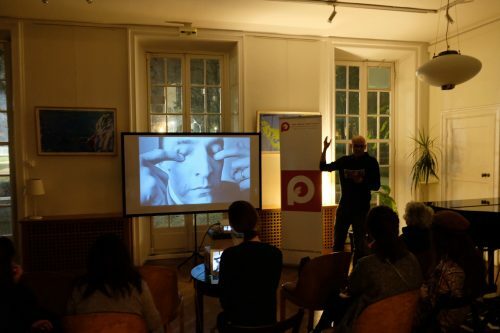 The evening was rounded off by “Killing Bergman,” a trivia quiz designed by Hector Ulloque to debunk common myths about Bergman and open his status as an art house icon up to constructive debate. 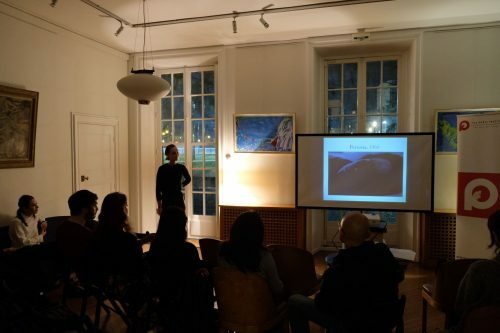 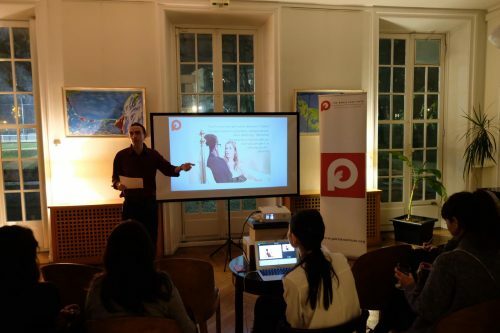 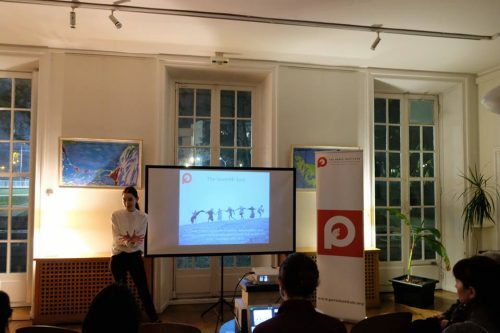 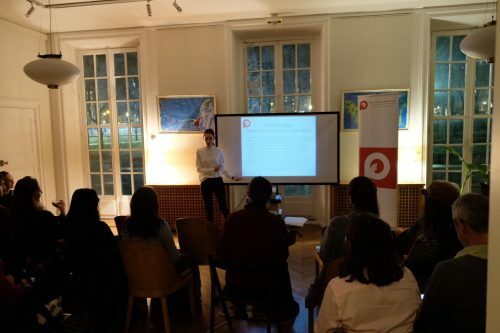 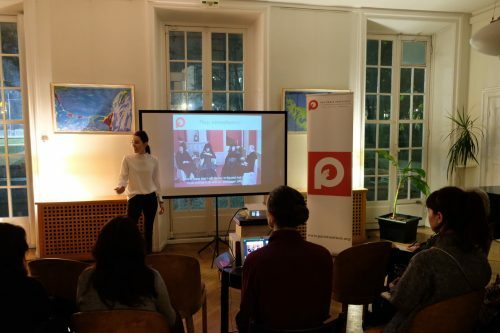 PICT would like to thank the Maison des Étudiants Suédois for providing such a beautiful venue for the event, and all attendees who helped to turn this final public PICT event of 2018 into such a fun and successful evening!